Prestige Hotel Mar y Sol Elit stands out for its central location which provides wonderful views of the Bay of Roses. Prestige Hotel Mar y Sol Elit has an easy access to the beach and its 37 fully equipped rooms are specially designed for families and allow the accommodation of up to 4 people per room. Did you know that in Prestige Hotels there are only advantages? 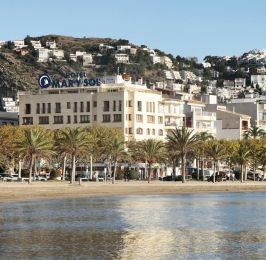 Prestige Hotel Mar y Sol Elit is located on the seafront, at the shopping and residential district area of Roses, in Costa Brava.